Daily pick of fashionista: Let's go on a city tour or A perfect travelling outfit. When you are planning a perfect trip it's wise to plan a perfect outfit too. My friend Maria is travelling to Czech Republic in July and is asking me for a piece of advice about what to wear. It will be a bus tour and they will be visiting several towns on their way - travelling at night and exploring some town during the day. So here are my suggestions for Maria. Being on the road requires something really comfortable to wear, so jogger pants are the best choice. 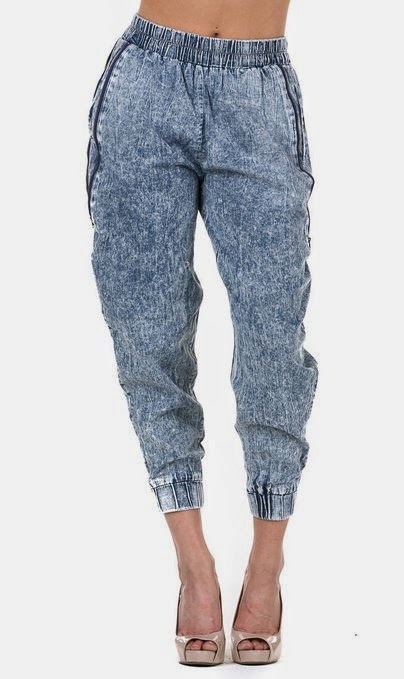 Check out these trendy denim pants, that you may have seen at some boutiques. But these ones are really wise-priced. =) They look fabulous when you wear them baggy, but you can also pull them down to cover your ankles if you want. The tank is knitted in a beautiful way and has a flirty fringe, that will make everyone notice your toned belly. Add peep toe wedge sandals in neon yellow - the suede upper is soft yet sturdy, the rise is moderate, so your feet won't get tired when you will be exploring the town. You won't feel comfortable bringing much jewelry on a bus tour, besides, you may want to buy some local crafted jewelry during the trip. So bring along something very simple, like a neon yellow silk thread bracelet, that matches the sandals. 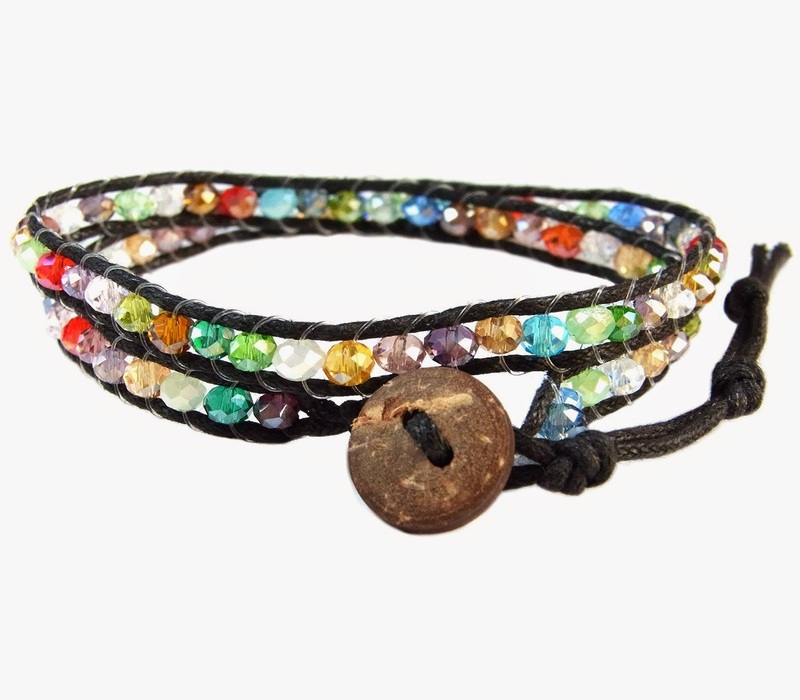 Don't forget a Buddha style wrap bracelet too - it will shine beautifully on a sunny day. 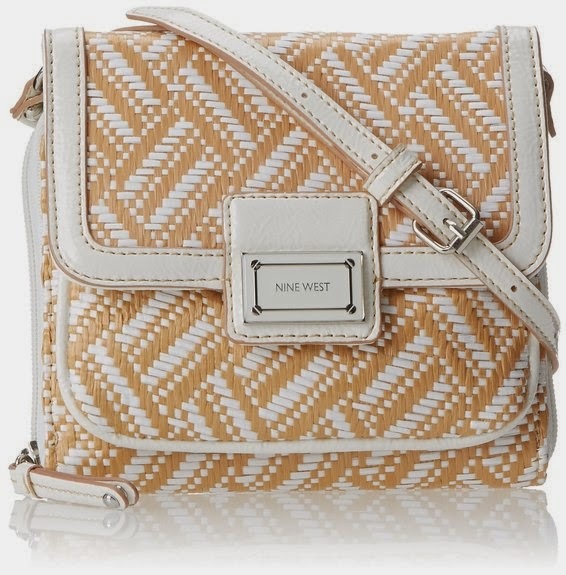 Cross-body handbag with a print that goes with everything is a must-have for a travel. You will need a small one to carry your documents, money and a phone. Compared to a clutch, it will leave your hands free, when you are taking photos or carrying bags of souvenirs you bought. That's it. Hope Maria will enjoy her trip!